2. Break up Ramen noodles or roll with a rolling pin while still in bag. 3. Set aside flavor packets. 4. 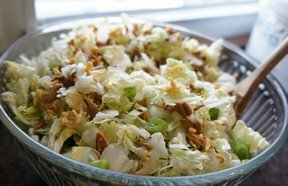 Toss coleslaw, broken noodles, almonds, sunflower seeds and onions together. 1. 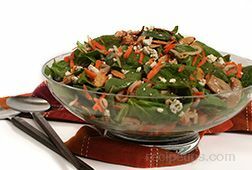 Whisk together the dressing ingredients or shake in a jar and pour over salad right before serving. 2. 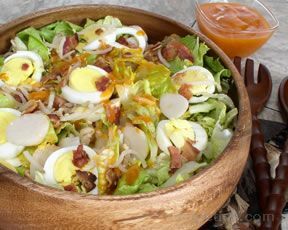 Mix salad well with dressing and enjoy!